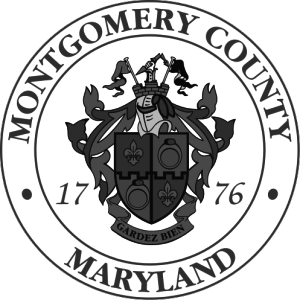 AAHP and its community partners invite all Montgomery County residents to join us for a day of family fun at Know? AAHP Community Day 2019, taking place on Saturday, April 27 from 9:00 am - 2:00 pm at the Silver Spring Civic Center in Downtown Silver Spring. Know? 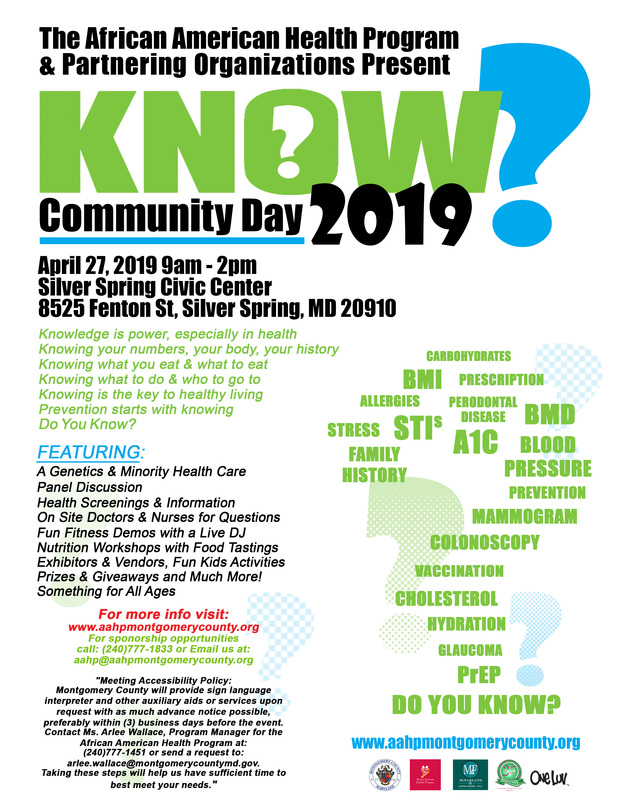 Community Day 2019 will showcase and celebrate AAHP’s mission for the health of Black Montgomery County residents with FREE health screenings for blood pressure, BMI (body mass index), and blood glucose; HIV testing; presentations on healthy cooking and eating; delicious and nutritious food samples; a fitness component with great music and dancing for fun and exercise; and much, much more.